Billie Eilish surprised the music industry by offering mellow and introspective musings on her debut EP don’t smile at me (released in 2017 via Darkroom/Interscope Records). Eilish has since provided music for the popular TV Show Thirteen Reasons Why alongside Khalid, and established herself as a noteworthy presence in the indie music scene. The singer recently released “you should see me in a crown,” a commanding, intimidating track, and one unlike anything Eilish has previously offered. Fell for these ocean eyes. “you should see me in a crown” is evidence of Billie Eilish’s versatile, malleable sound, and demonstrates she can tackle the ego of a musician in a self-aware, witty fashion. It seems a drastic departure, especially when juxtaposed against the whimsical sound of “party favor” and “ocean eyes.” But for listeners paying attention to Eilish’s lyrics, the shift has been thoroughly foreshadowed. It makes complete sense that Eilish would depart from ballads and ukuleles, with her most recent offering comparable to the sound and styling of “COPYCAT” – the opening track on Eilish’s debut EP. “you should see me in a crown” lacks the timidity heard so often throughout Eilish’s discography, and it’s all the better for it. Bold. “you should see me in a crown” is bold beyond measure, and challenges the listener to behold Billie Eilish’s success, while offering a sardonic commentary on the ego of pop stars. The titular lyric also holds meaning in terms of pop culture; “you should see me in a crown” is a reference to the BBC drama Sherlock. The line of dialogue, courtesy of antagonist Moriarty, reads, “in a world of locked rooms, the man with the key is king. 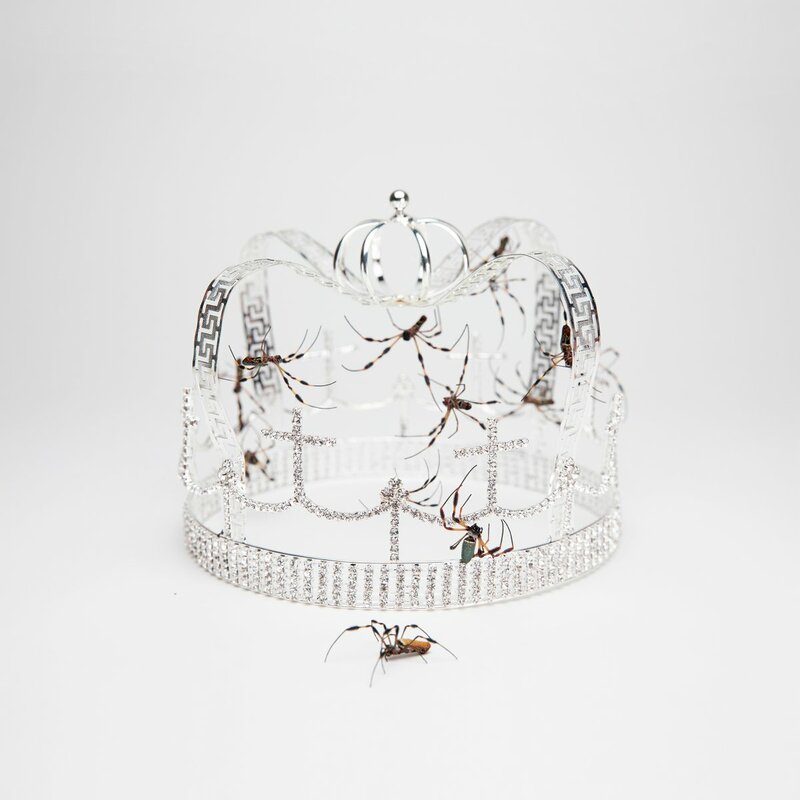 And honey, you should see me in a crown.” This can be interpreted as further evidence of Eilish playing the role of villainous monarch in her latest single. The opening of the song sounds distinctly like a knife being sharpened. Eilish’s vocals are something akin to a growl on this latest offering. But this darker tenor doesn’t ever stray into melodramatic territory. The threatening persona she conjures is justified, and the lyrical presence of “you should see me in a crown” is palpable. It’s a royal triumph, and hopefully marks a new era in the career of Billie Eilish.